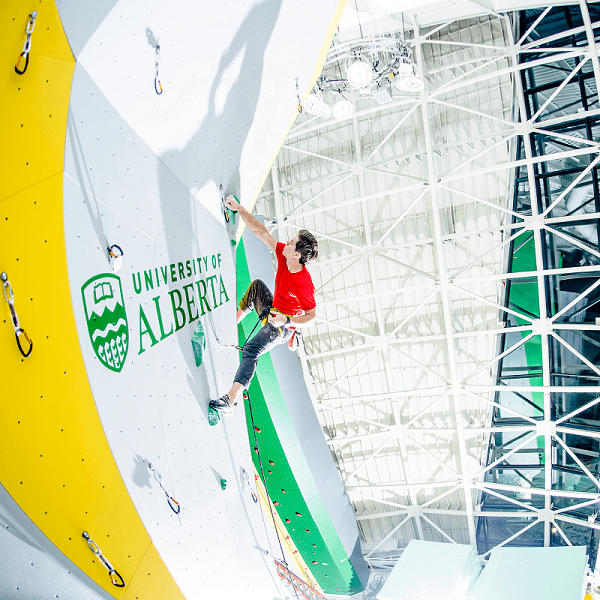 How do UAlberta students relax in between classes and studying? - StudyinCanada.com! UAlberta is home to amazing fitness and sport facilities, and access is included with your student fees, so you pay nothing extra to use them! These include a fitness centre with the most modern equipment, gymnasiums, ball and racquet courts, an aquatic center, and the beautiful Wilson Climbing Centre. Maybe you want to play sports with others, so check out intramurals. UAlberta has dozens of intramural teams on a mission to have fun while staying fit. These include cricket, basketball, football, futsal, soccer, dodgeball, ultimate frisbee, and the very-canadian winters sports of curling and ice hockey. Intramurals are a great way to make new friends! If you’d prefer to watch sports, UAlberta students get free admission to all of our varsity Golden Bears’ and Pandas regular season sports games! With over 450 student clubs and groups at UAlberta, it’s easy to meet students who share your interests and passions. Canada has beautiful wilderness, so why not go hiking and snowshoeing, with the outdoors club! Or if you like to write and express yourself through words, the creative writing club might be for you. There are a huge number of options! Sometimes student life can be stressful. UAlberta has specialized international student advisors who are trained to assist international students with the issues they may face. These advisors can help with study permits and visas, intercultural issues, and can connect students with other services on campus. The International Student Services also organizes helpful events, courses, and workshops for students throughout the year! This can be anything from the I-Work career conference to field trips around the province, the English conversation club, or holiday parties!